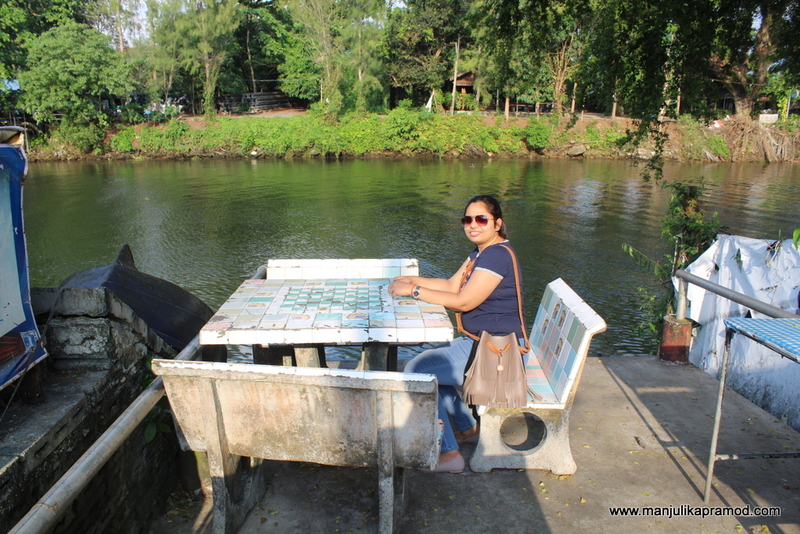 In the east of Thailand, there is a sweet little town on the banks of river Chanthaburi. Located four hours away from the capital city Bangkok, this gem of a place is famous for its gems market at Srichan Road. This delightfully quaint place is an experience where one can spend hours and hours without getting bored. This no-frills place with old world charm, winsome coffee shops, boat cruises, river facing restaurants and heritage architecture is meant for those who love offbeat. If you love lazy strolls, this is the place for you. Apart from being famous for its fruits farms and waterfalls, Chantaboon is also known for the largest Catholic church in Thailand. The Cathedral of Immaculate Concepcion exists from 300 years and it was built by Vietnamese Christians. 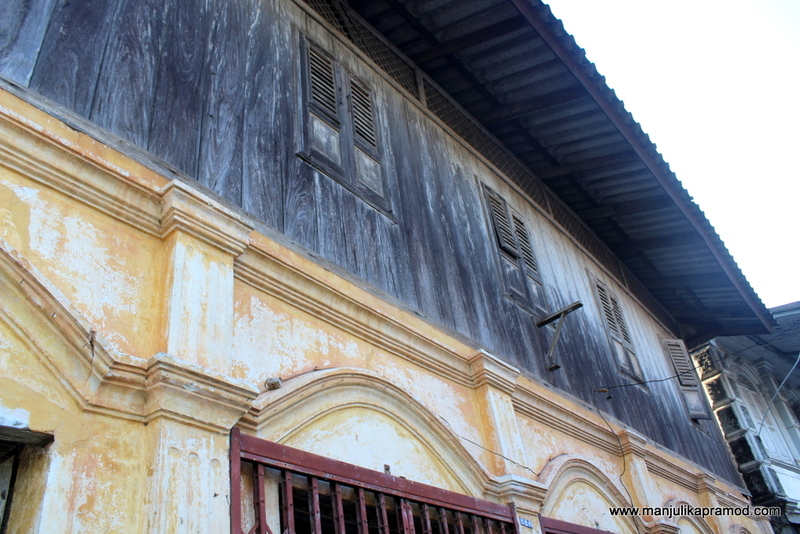 Also know as the city of moon, Chantaboon is the old name for the modern Thai provincial city of Chanthaburi. It has lots of history to offer because it houses one of the oldest communities of the area. My first pit stop in the town took me to the heritage community that resides by the river, famously known as Chantaboon Waterfront Community. In the past, it was the presence of the river that made this place develop and emerge as a major trading and transportation hub. he gems trading continues even today. 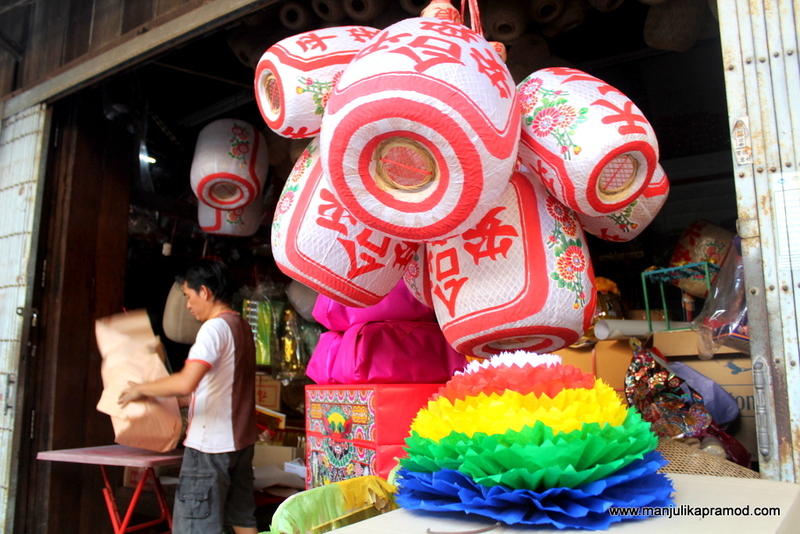 The locals have Chinese and Vietnamese connect because they were the first people to call it home. Some of the buildings have stood the test of time and one can see the different influences of cultures in the architecture of the region. Not to forget it had French influences too. Was Thailand colonized ever? 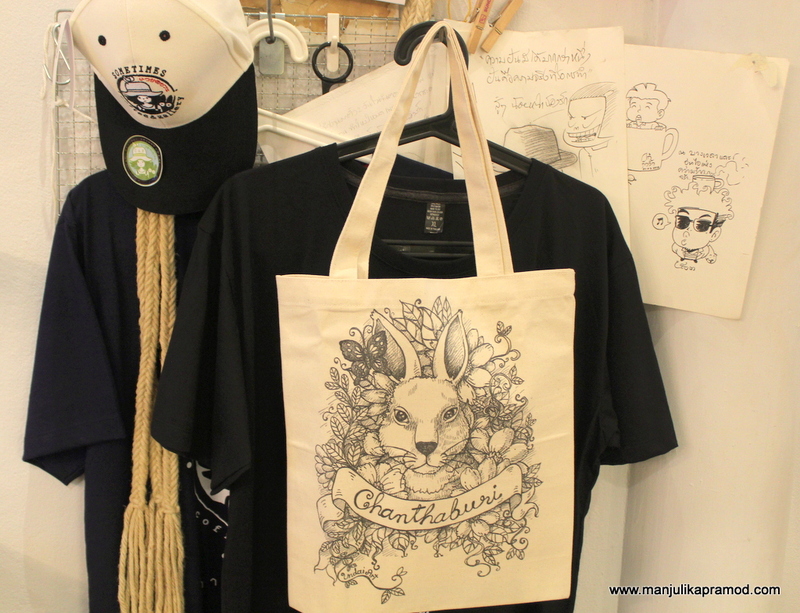 I captured this bag with Chanthaburi written on it in one of the shops at the Chanthaboon Waterfront community. A small Chinese shrine exists right at the entrance of the street. It stands at a certain height and from there one can see the river right across the road. As I looked around and took pictures, the first glimpse of the houses and shops fueled the urge to walk down further. The calmness and small town feel about the place was welcoming and extremely refreshing. 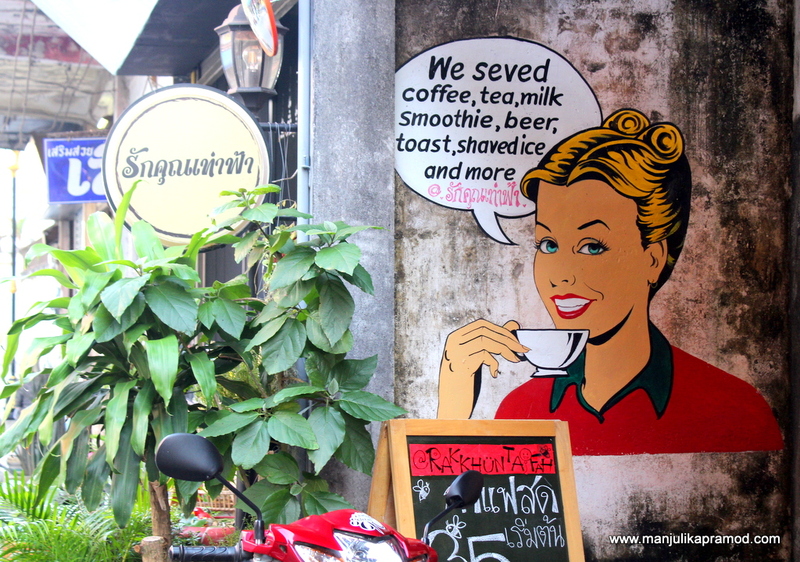 While I noticed the old houses and the cute cafes, the USP of the place was its people. Everyone looked so happy, satisfied and cheerful. Most importantly, they noticed my presence, they gave me smiles but they continued to be busy in their own chores. No one insisted me to buy anything. There was no fuss of any kinds. I walked through bakery shops, local delights, fruit shops, a postcard shop, gifting shops, a small community museum, home stays, restaurants, cafes and lots of old houses. Everything was small but absolutely pretty. There was no hint of pretense of any kinds. I loved my visit here because this was far away from the glitzy and glamorous cities which are flooded with big shops and brands. This was like time-traveling to the days when life used to be simple and cherubic. 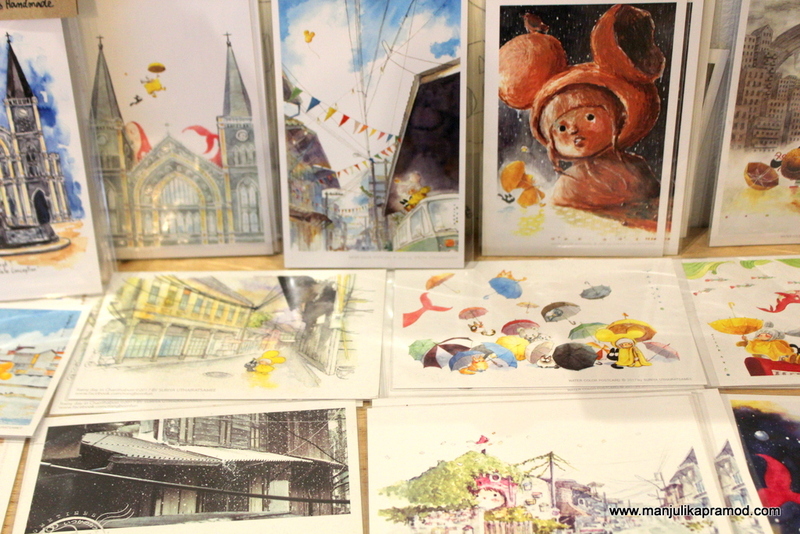 There were random paintings on the walls, cute little things outside the shops, hand made cards, sketch paintings in one of the shops, wooden windows, traditional sweets, antique objects, locals cycling for errands and a friendly ambiance. This is definitely one of the most offbeat walk that I have done in Thailand. If ever you chose to walk down here from the chaotic and stressful city, you will be pulled in deeper for the serenity and the silence of the place gets to the heart. 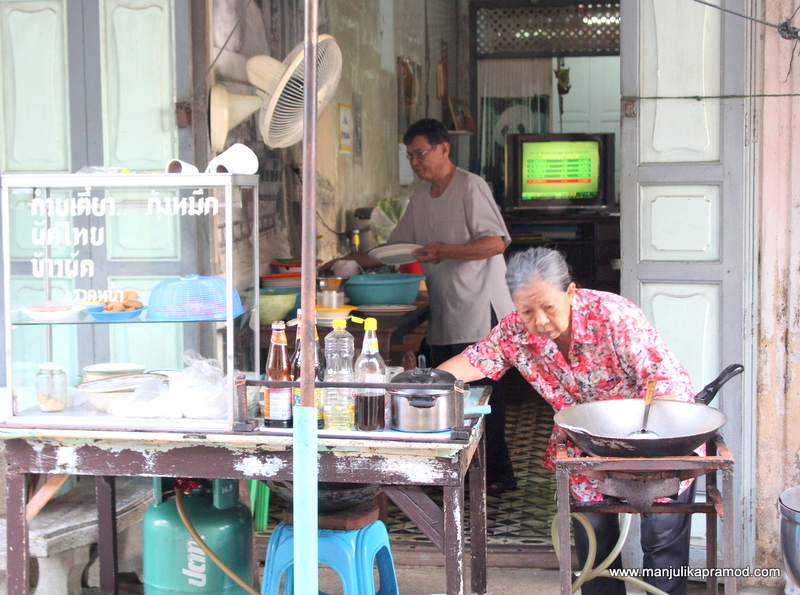 For those coming from small town or villages, you might not find Chanthaburi anything different. For some it might just be just another place but I could easily find my connect with the place because I enjoy walking into little shops, buying knicks knacks, making conversation with locals and appreciating common things which have become uncommon these days. Usually I am the person who goes looking out for art everywhere. Whenever I am off to a new place, my eyes start searching was wall art but there are many times when art finds me. This happened in Chanthaburi. It was a lovely co-incidence when I walked in one of the most colorful shops around the waterfront. 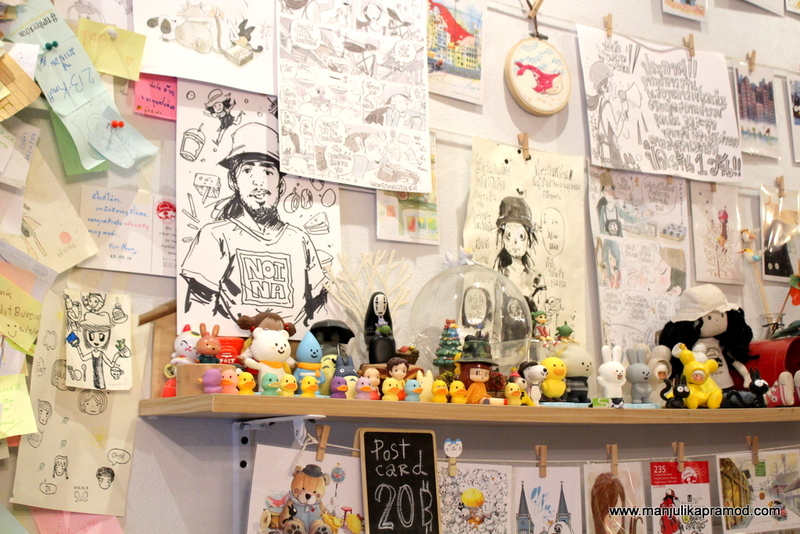 This was definitely one of the shops which was worth going and it won me with its drawings. 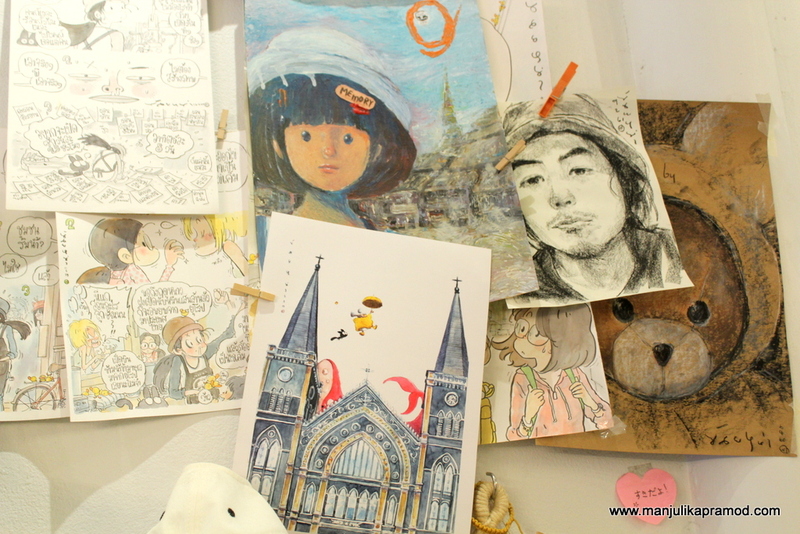 It had amazing art works pinned everywhere in the shop. 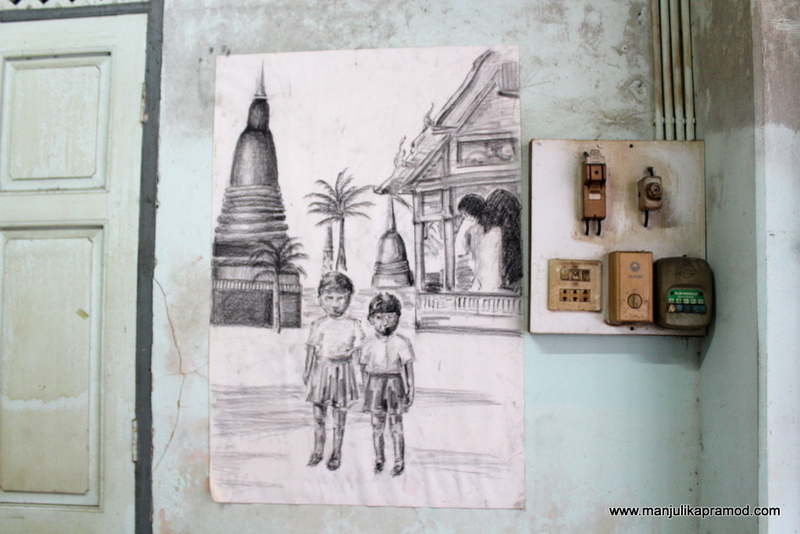 All big and small drawings had something interesting to tell about the area, community and province. As they rightly say, a picture tells a thousand words. If I had more time up my sleeves, I would have loved to spend more time in the shop for sure. But I am super glad that I discovered it. I have got some lovely pictures from there. I could not visit the cathedral but see I can see it through artistic creation of one of the locals. This shop in Chanthaboon Water Community area won me over with its lovely art work. Chanthaboon in Thailand – Place famous for its gems. 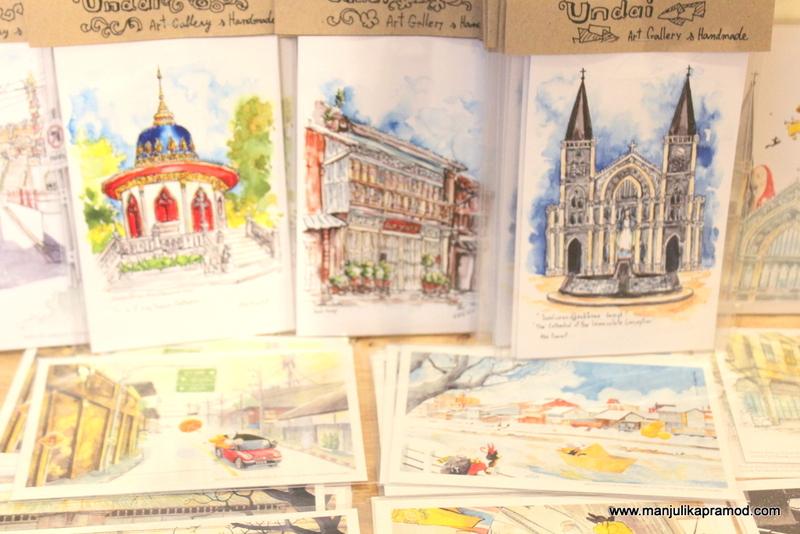 I couldn’t visit the Cathedral but when I was sorting my pictures back home I noticed it on these art works. 10 Things that you must know about Chantaburi to explore it better. 1. Apart from visiting the biggest church, Cathedral of the Immaculate Conception, the Wat Khetna Boonyaram, a Chinese-style Buddhist temple is one to look for. 2. One must look for King Taksin Shrine and the City Pillar of Chanthaburi to the bridge to Wat Chan (temple). 3. Distinctive European styled buildings can be seen in Chanthaboon Waterfront community. 4. Chantaboon Learning Centre, a small museum tells you more about the community and the locals. 5. 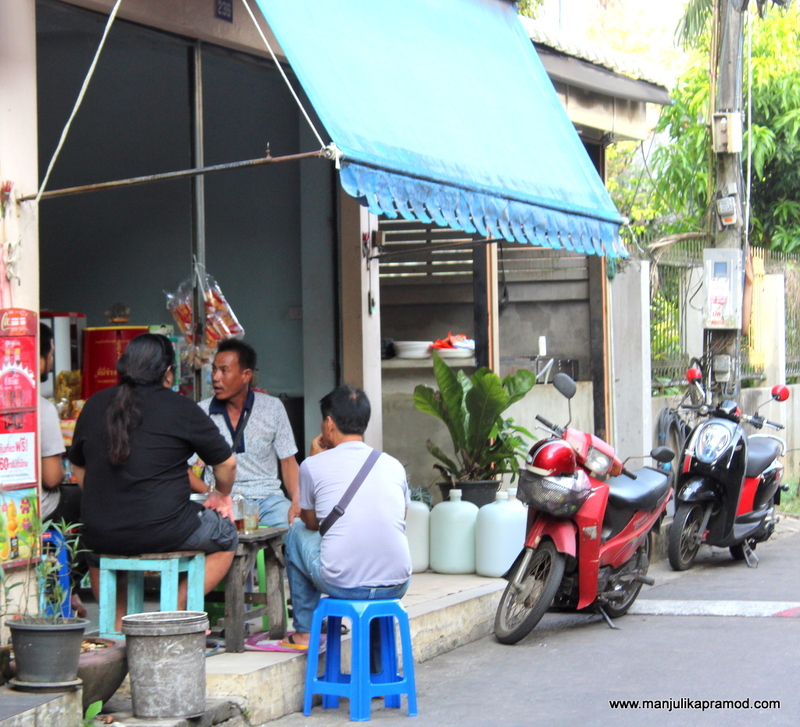 As you initiate conversations with the locals, you will get to know stories about the town. They will prompty tell you about Luang Rajamaitri, the legendary icon of Chanthaburi who was known as the father of rubber plantations. 6. The gems market of Chanthaburi is a bustling street which usually opens on Fridays, Saturdays and Sundays and the buying is restricted to Saturdays. 7. Due to constraint of time, we could not go to Namtok Phlio National Park, which gets its name from a famous waterfall but you must go there. 8. Buddha’s footprint at the mountain in Khao Khitchakhut Natinal Park is also a revered place in Chanthaburi. 9. Wat Bog Muang is beleived to be one of the oldest temples of the area. 10. Chanthaburi is best known for its tropical fruit and a fruit festival takes place in Chanthaburi annually. I can almost feel the chilled and nice life style in Chanthaburi just looking at your photos. I really like such places, a bit further from touristical hot spots where time seems to stand still but without being boring. Thailand in particular I truly like even though I havent seen that much from the country. But this area would be definitely on my list for a next trip to Thailand. Thank you for this nice inspiration. The waterfront dining looks so peaceful. What a cute and charming community to explore. 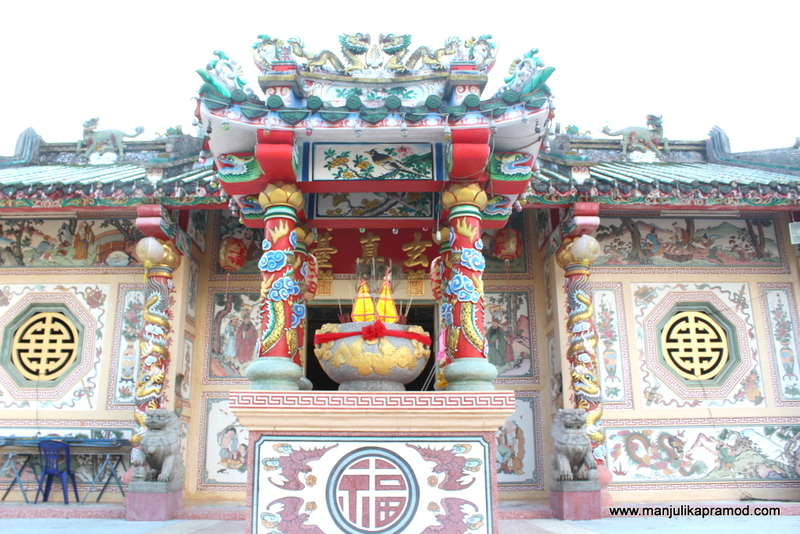 I am surprised that the Chinese style temple is such an attraction. This looks like an ideal place for me to visit on our next visit to Thailand. We visited for the first time only this year, and had a wonderful three week itinerary but I know there is still so so much more for me to see. 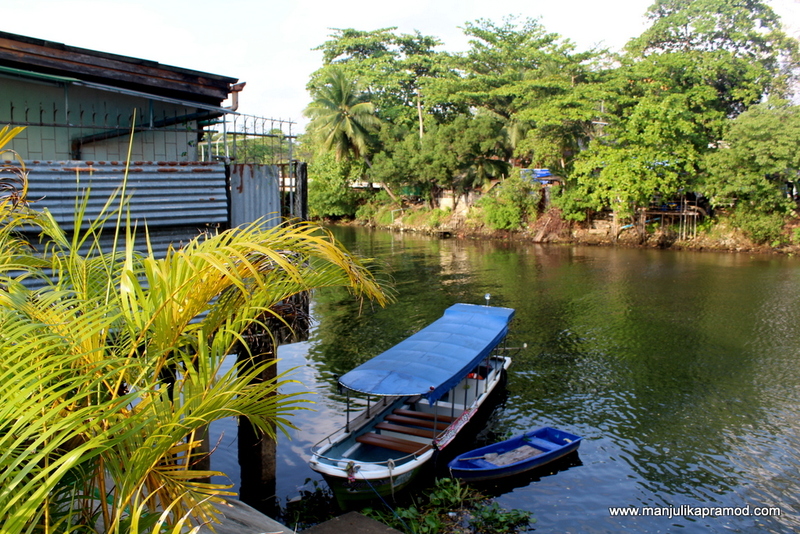 This chilled spot on the Chanthaburi River looks like a great space to chill and enjoy at a slower pace. I love how Thai life centers around the rivers. We took a bike tour of the Thai countryside and, everytime we crossed a river, we could see the “real Thailand”. Fishing boats were moored at every opportunity it really just seemed like energy and vitality flowed from their shores. The pace of the Thai countryside was so peaceful. There are so many well known tourist places in Thailand but I feel like you’ve found one that isn’t on that list. 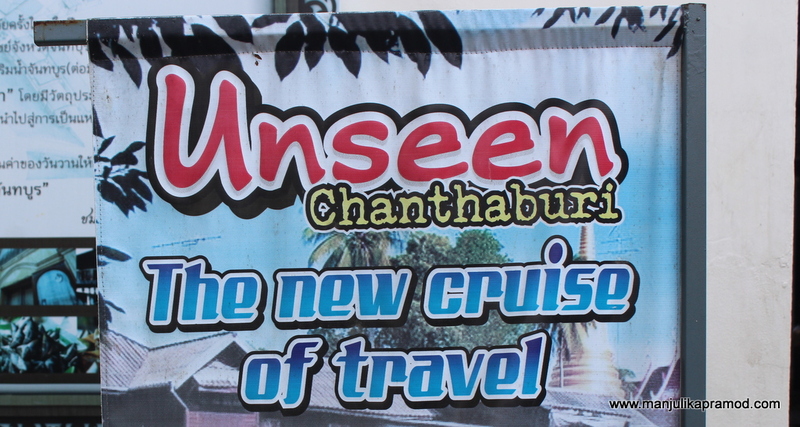 Despite visiting Thailand last year I’ve never heard of Chanthaburi! (I don’t know whether that says more about me or the place but hey ho). It sounds like such a quaint place to visit! I LOVE the idea of a fruit festival there though! Glad that you enjoyed your trip in Thailand. It is on eof the best country to visit in Asia and have relaxation without beating your pocket so hard. No wonder many travelers then decided to moved in Thailand for good. I really love offbeat places and Chanthaburi is one of them in Thailand. As there are lovely street art, this place is meant for me. 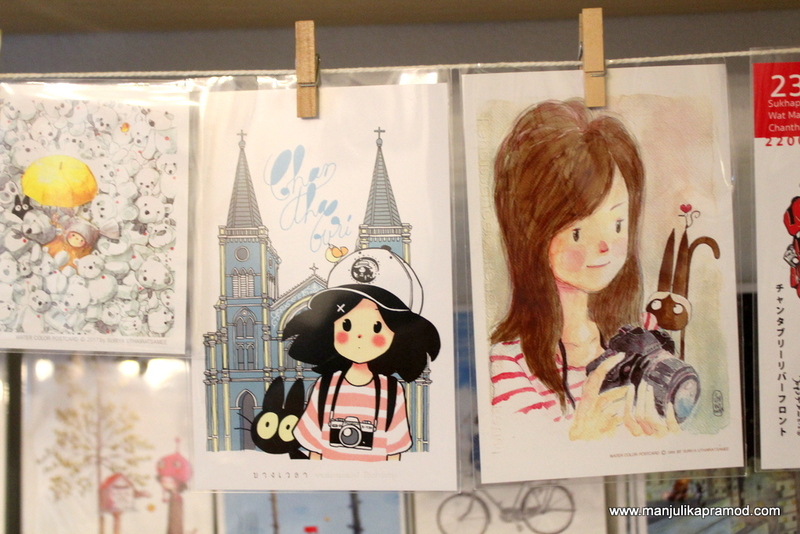 I love those quirky drawings and paintings, specially pencil drawings. 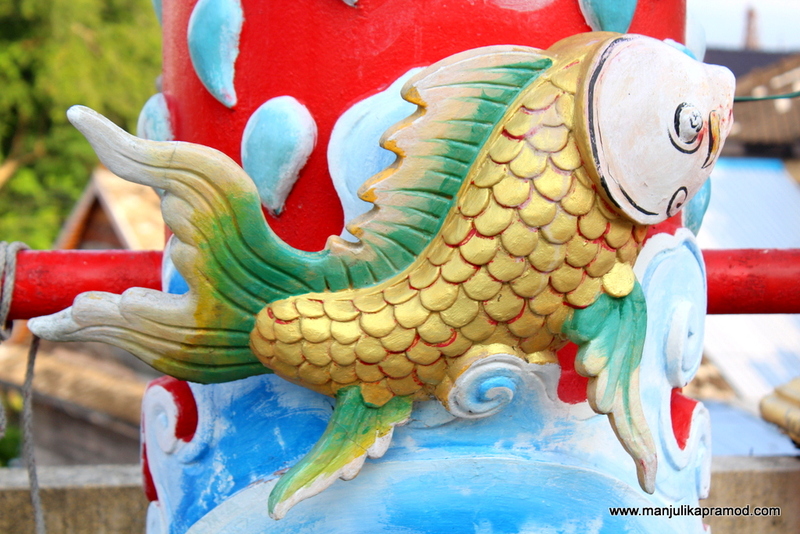 Chinese shrine is also worth visiting as it is colorful and having beautiful murals. 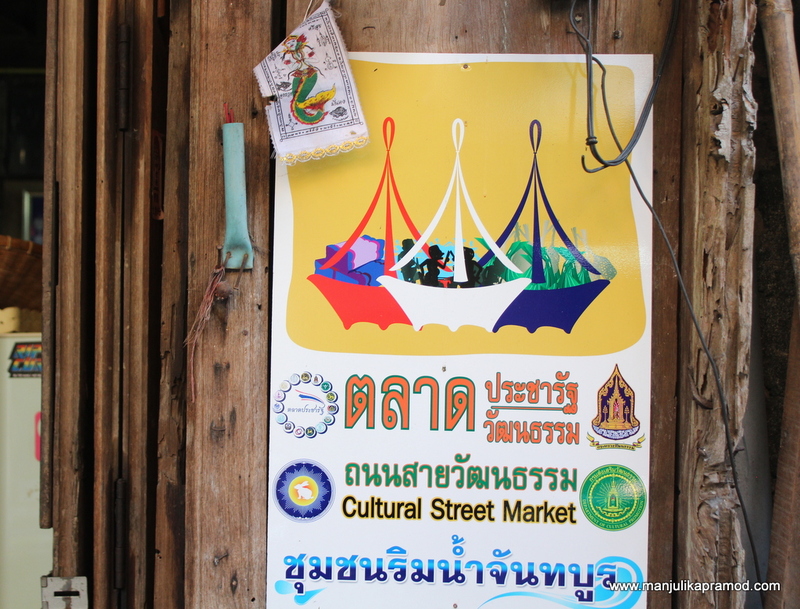 I would love to attend cultural weekend market too. 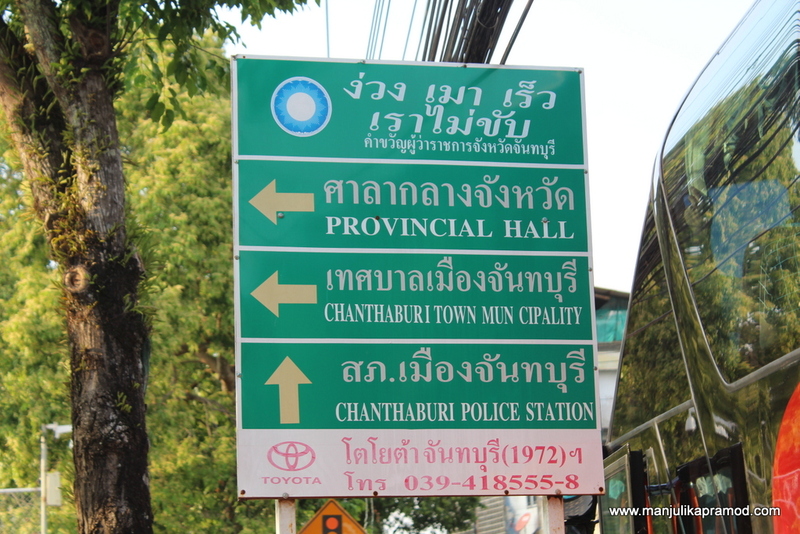 Chanthaburi sounds so different from the typical Thailand towns. It is so quaint and peaceful, definitely a perfect break from the glitzy city of Bangkok. The street arts look very eye catchy, would love to explore this little town.